In today’s talent management discussions, so much attention is given to how employers can attract and retain younger employees – namely the Millennial generation, most of whom are in their mid to late twenties. That’s great of course, but what about older talent? For some companies it can seem advantageous to try and subtly push out older employees in favor of younger, more tech-savvy talent, but smart companies are realizing that may not be such a great idea after all. Older employees often come with their own unique and coveted set of offerings including, of course, experience. Their experience can be a tremendous asset when it comes to coaching and mentoring younger employees. Older employees may also have a sense of loyalty that’s difficult to come by in today’s fast-paced job market. The strongest workplaces often have a diverse intergenerational mix, rather than a concentration of one particular age group or demographic. This topic was recently covered in The New York Times, where CVS Caremark was profiled—one company that’s making a big push to retain its older talent. For example, the “snowbird” program as it’s dubbed, lets hundreds of pharmacists and employees based in the Northern U.S. make a transfer to store locations further south, including Florida, during the winter months. It actually works out well for CVS on a number of fronts—they get to keep employees who would have otherwise retired and they also get to send talent to locations that are much busier during the winter months because of the influx of retirees and seasonal residents. CVS says they feel like working hard to retain senior employees makes good business sense in a number of ways—they get their skills and expertise, but this is a demographic that also represents many of their customers so it’s important for people who visit CVS to feel like they’re represented by the people who work there. Other employers who have started focusing on retaining their senior employees say they bring a sense of stability, commitment and dependability as well as wisdom to the job they do. With average life spans significantly longer than ever before, and average retirement ages going up, more and more companies are seeing the importance of holding on to their older employees. So how do you do it, particularly when they have options like moving to a part-time position or retiring altogether? Offer flexible scheduling opportunities. What’s interesting about looking at the ways you can retain older employees versus younger workers and millennials is that they often want many of the same things, and one of those things is the opportunity for a flexible work environment. Many older employees may not need to stay in a job for money purposes, but may instead do it for the social opportunities, so keep this in mind when it comes to scheduling. Have older employees focus primarily on things like customer service or mentoring and they’ll feel fulfilled, the organization will benefit and they won’t feel overburdened by a schedule that’s too demanding or rigorous. Despite the desire for a scaled back work schedule, this doesn’t mean older workers don’t want to feel challenged. Senior employees can make great project managers to spearhead difficult and complex projects and they’ll feel as if they’re being appreciated in the workplace, rather than pushed aside or pushed out altogether. Health and wellness can serve as a big draw for older employees to remain in their positions. Whereas younger employees may be drawn in by new and innovative benefits, older employees report an appreciation for options like yoga and Zumba, on-site gyms and workshops on health and wellness topics. Create a strong culture that embraces older workers. 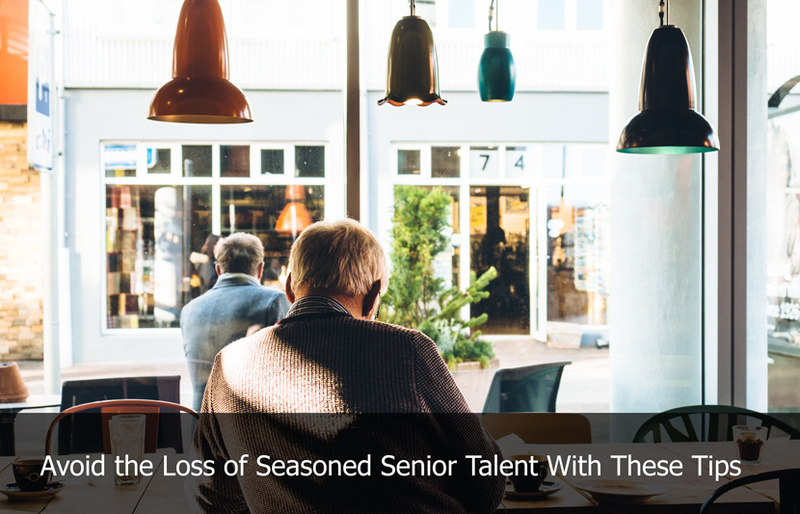 Unfortunately so many older employees feel like they’re unappreciated, left out or ostracized in the workplace, particularly when there’s a premium on sourcing younger talent. 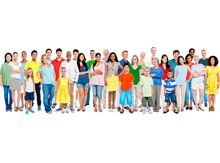 Work to create a multi-generational culture where everyone can come into the mix and make contributions without one group dominating another. Senior employees are a tremendous asset in so many ways and as the population of America’s workforce continues to age, we’re likely to see these older employees continue to play a pivotal role in the workplace. It’s important for organizations to appreciate these employees and see them for the unique assets they bring to the table, in order to remain competitive.